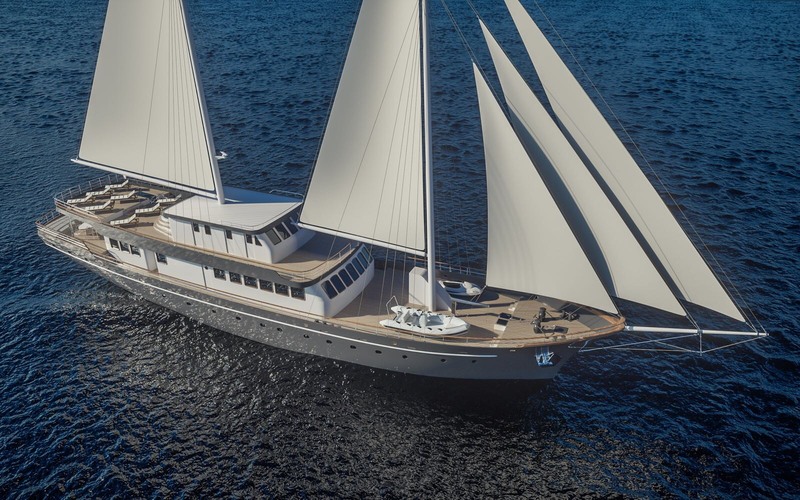 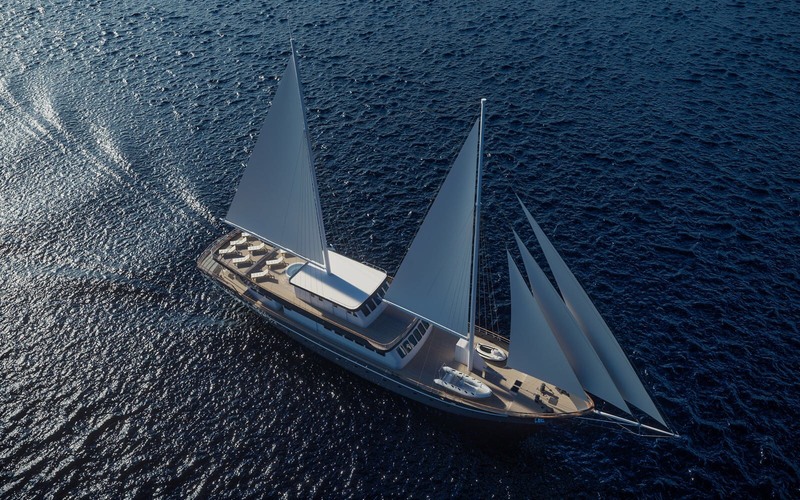 Elegant 48m luxury motor sailer superyacht CORSARIO was built by the Croatian Radez shipyard and launched in 2019. 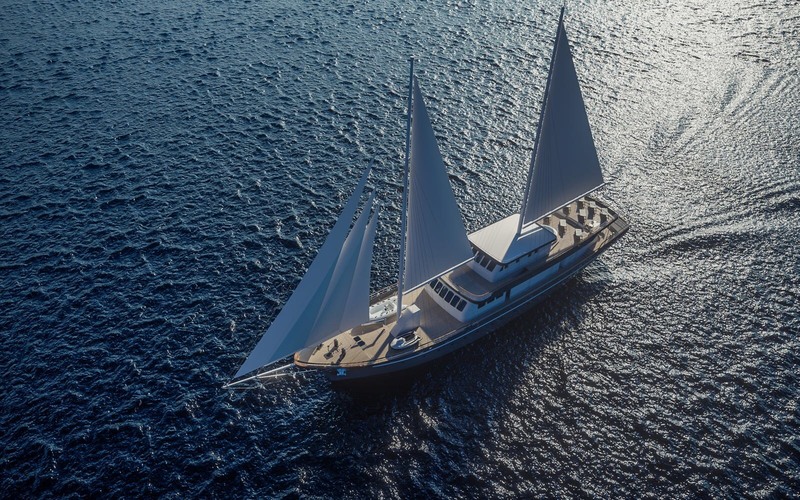 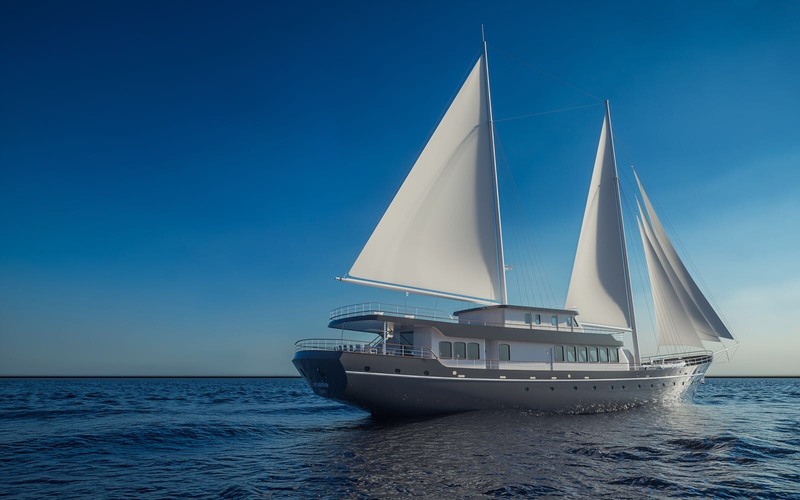 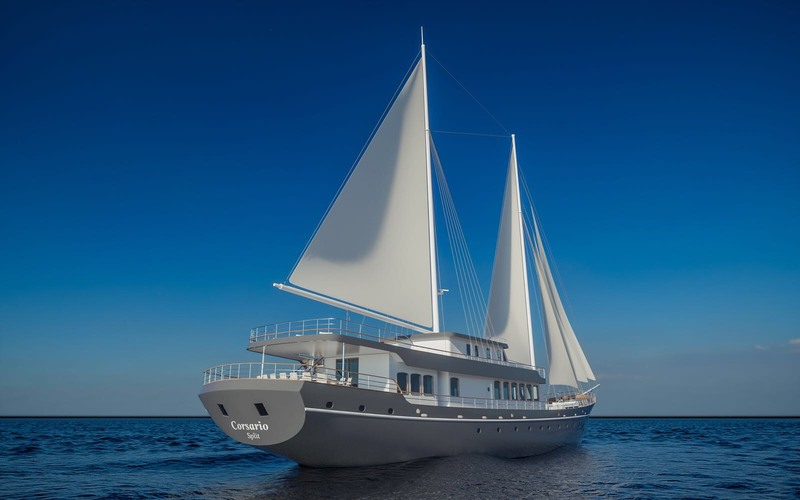 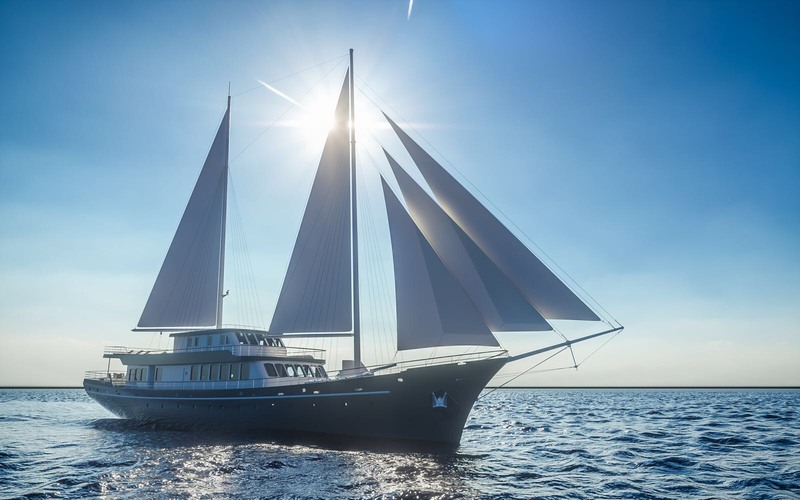 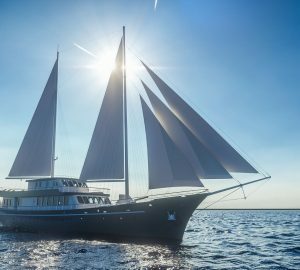 Offering unprecedented luxury and accommodation for up to twelve charter guests in six deluxe cabins, she is ideal for Adriatic vacations with family or friends. 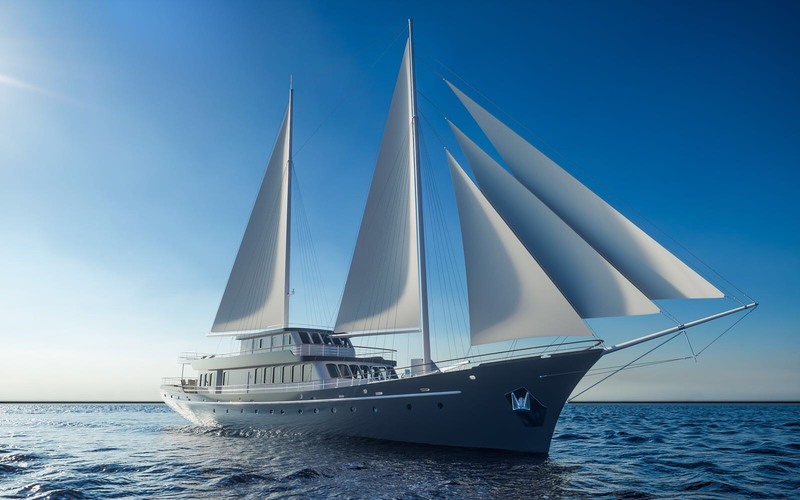 A crew of up to eight ensures professional and friendly service during the entire charter. 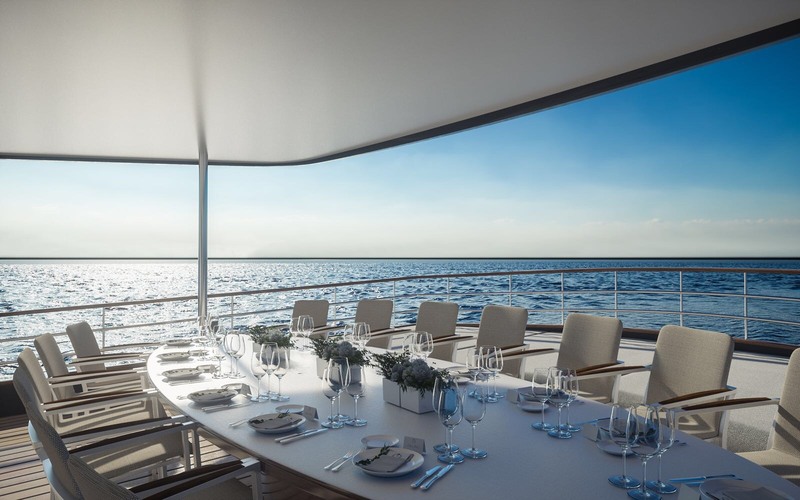 The main deck aft is shaded by the upper deck overhang and contains a large oval table for up to 14 guests to savour a meal together with excellent views to port, starboard and aft. 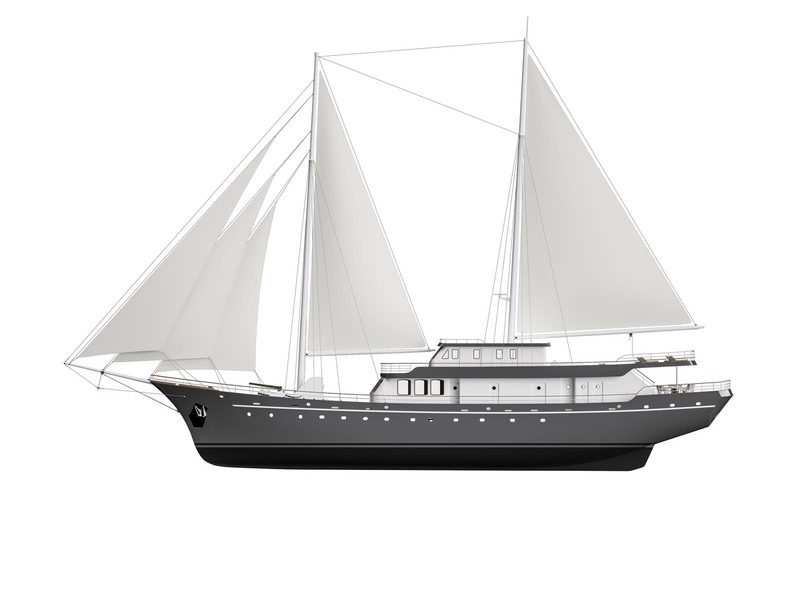 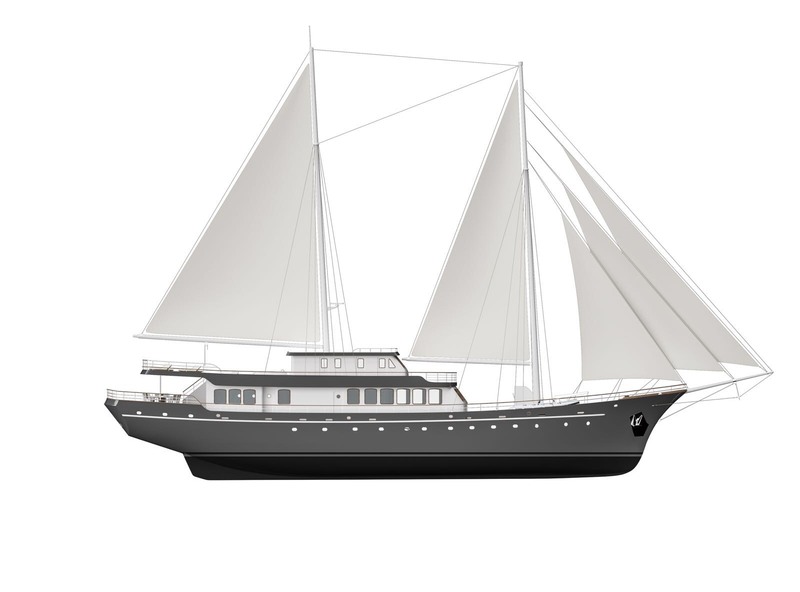 The foredeck is used for storing the tenders and when clear the area can be used to host a party or for exercise and additional sunbathing. 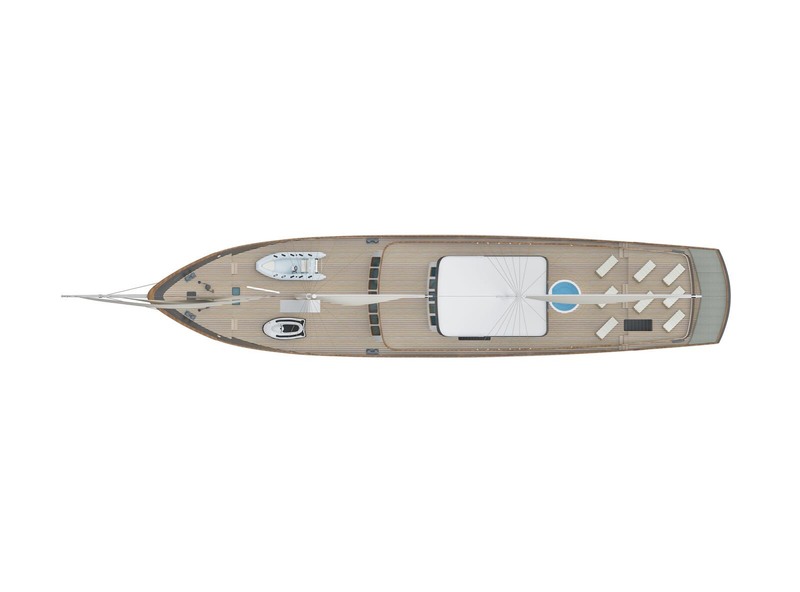 On the upper deck, the space in front of the bridge is left clear and can be used for observation. 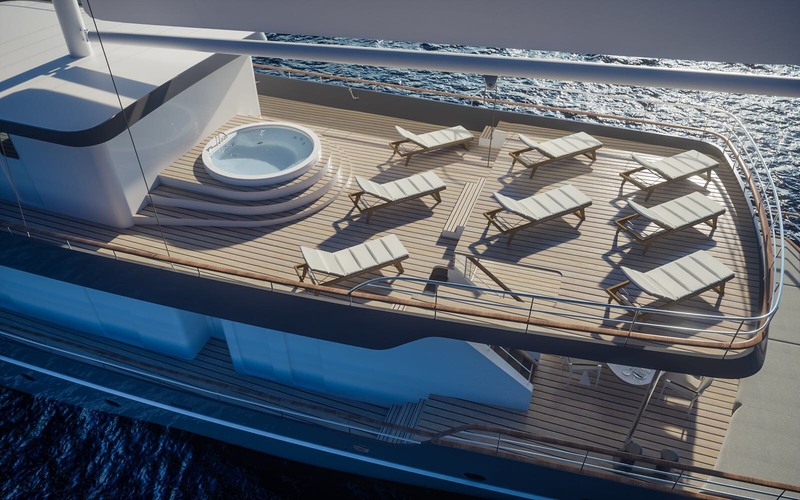 A sizeable raised Jacuzzi is immediately behind the bridge and the rest of the aft section is dedicated to eight sun loungers, all of which enjoy sweeping views and plenty of sunshine. 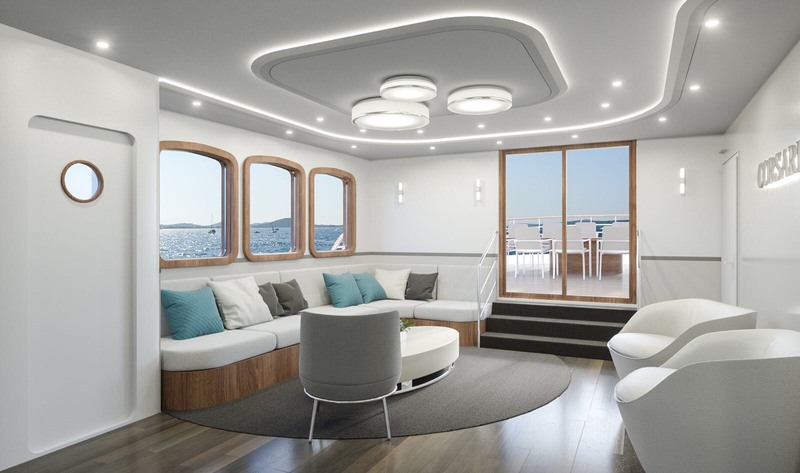 The lower deck hosts the guest accommodation, placing a spacious Master suite in the stern with a sofa, desk and widescreen TV within the room and an adjoining en-suite bathroom. 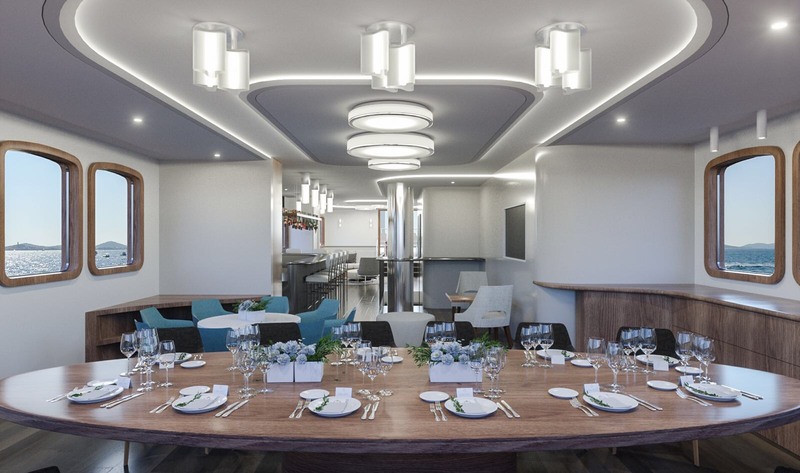 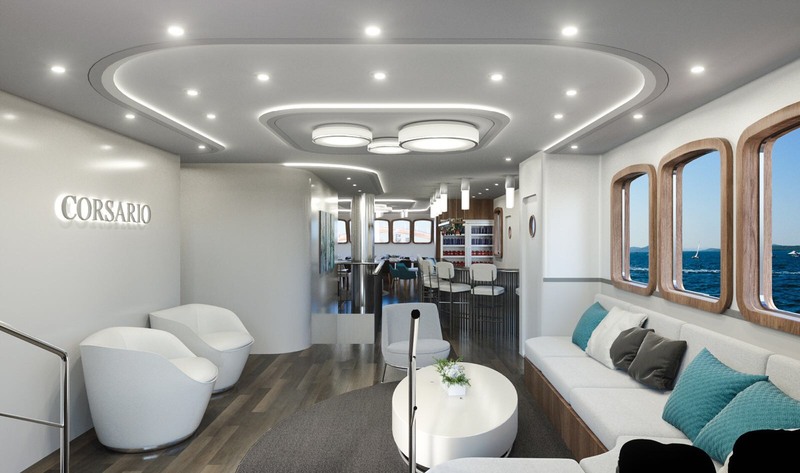 Forward of the engine room, are the double cabins and twin cabins, plus a forward VIP stateroom containing a sofa, an aft-wall widescreen TV and a desk with an adjoining en-suite bathroom. 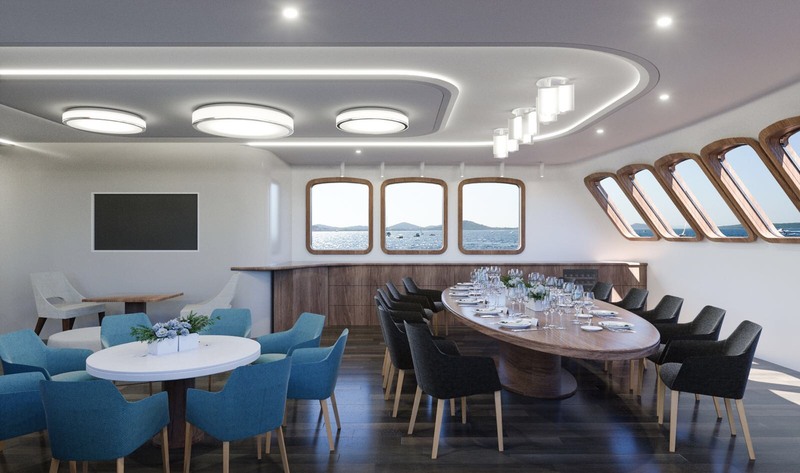 On the main deck a large oval formal dining table to seat 12 takes up the area in front of the forward windows, with a starboard bar amidships and a widescreen TV mounted on the opposite wall. 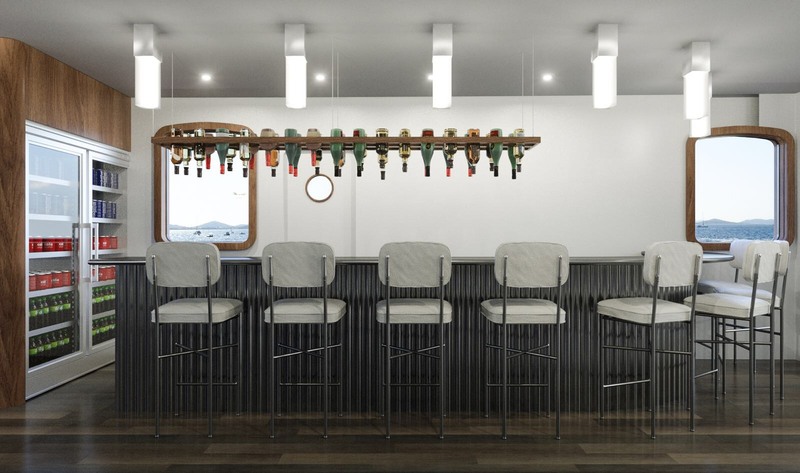 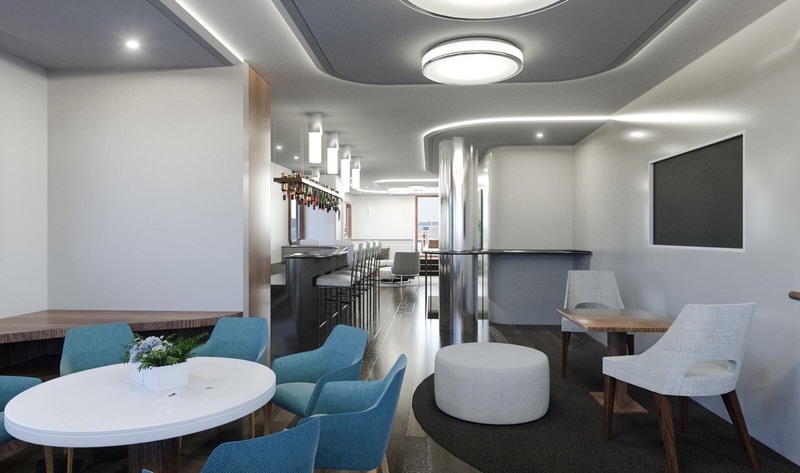 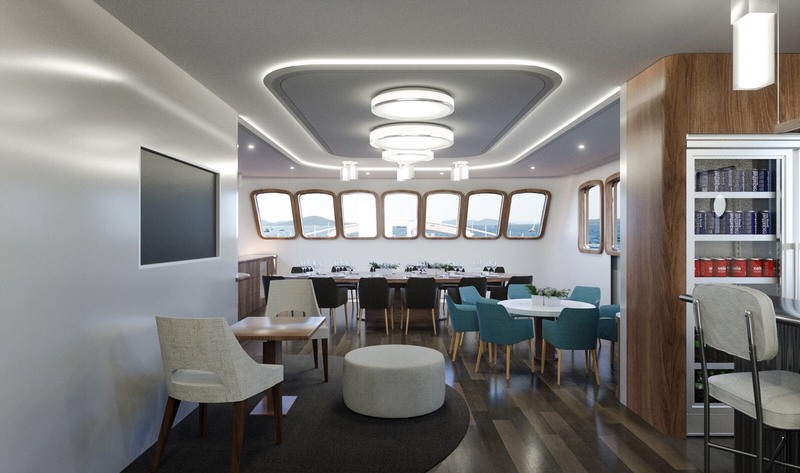 A casual circular seating area takes up the centre space, and to the aft, the casual lounge provides an L-shaped sofa integrated along the starboard wall with a coffee table and armchairs for a cosy setting. 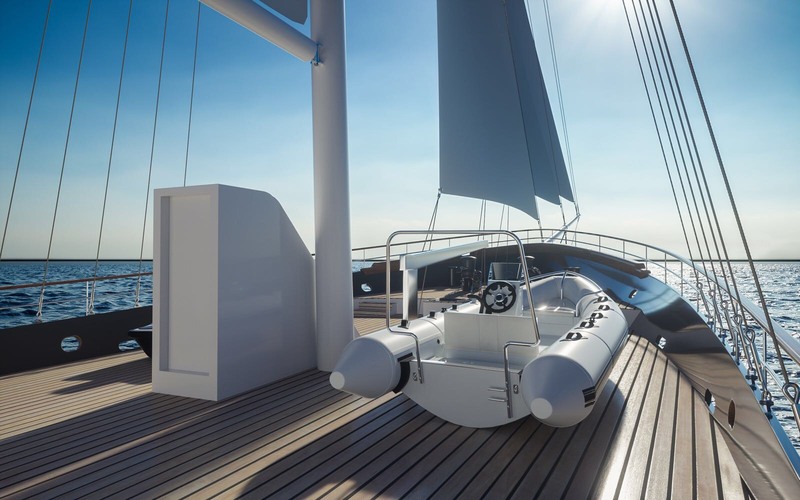 Twin John Deere 317kw/425 HP engines produce a top speed of 12 knots and a cruising speed of 10 knots. 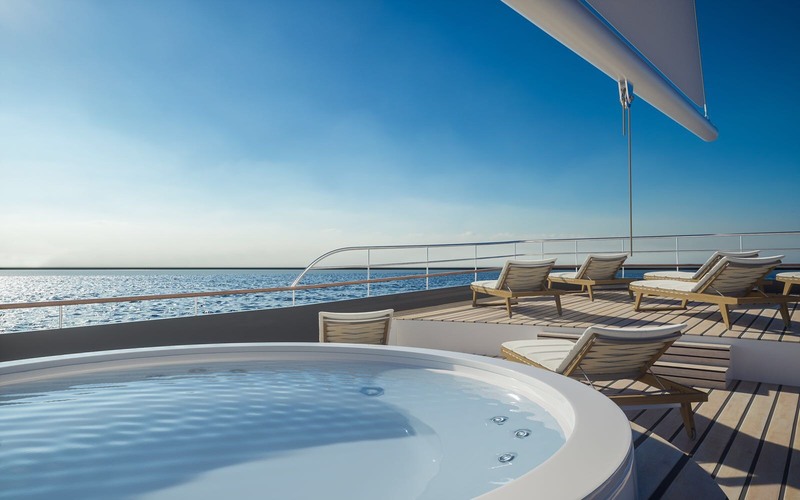 The accommodation sleeps a maximum of 12 guests across 6 lavish en-suite cabins: 1 Master suite, 1 VIP stateroom, 2 double cabins and 2 twin cabins. 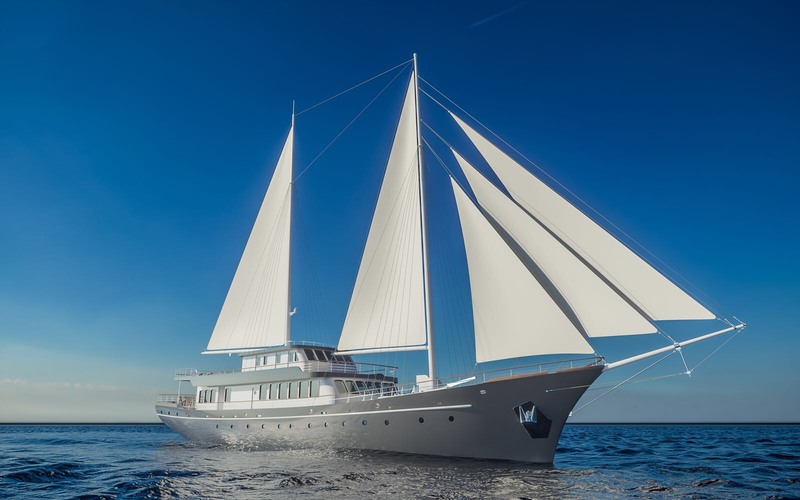 The crew of up to 8 will ensure that every guest on board receives the first-class service.